A beloved member of the modzi family, Captain William Butler lived his life to educate others. After attending Brown and Hofstra Universities, William worked as a high school English teacher, basketball coach, and educator in the rehabilitation of incarcerated persons. 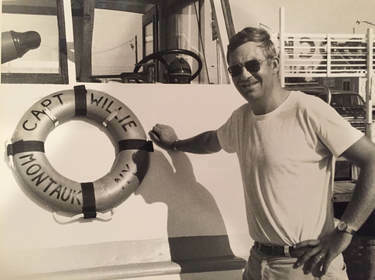 Captain Willie's famous LazyBones fishing trips in Montauk brought joy and lifelong memories to everyone involved. His family is thankful for all those who continue to further his legacy of education and have contributed in his memory.